I'm hoping that one of you experts might be able to help this novice out. This bow is one of two nearly identical bows that belonged to my Grandfather. He or his father obtained them in Shawnee, OK. 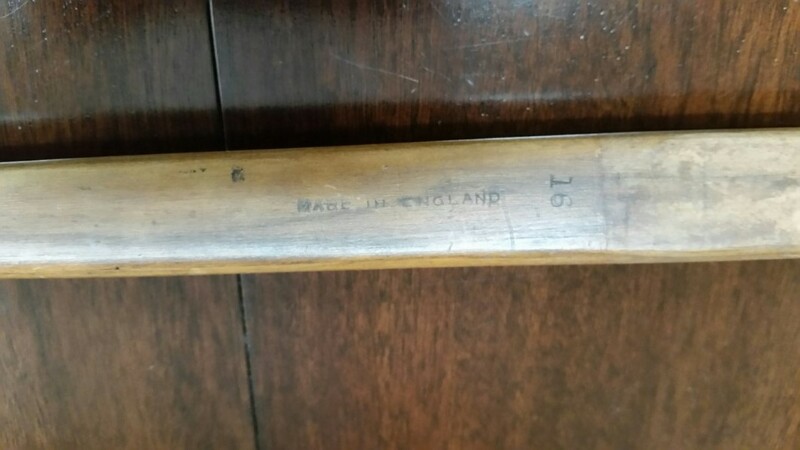 Growing up, my Grandfather told my Father that these were Native American bows, but the 'Made In England' stamp/etching on the belly seems to indicate otherwise. 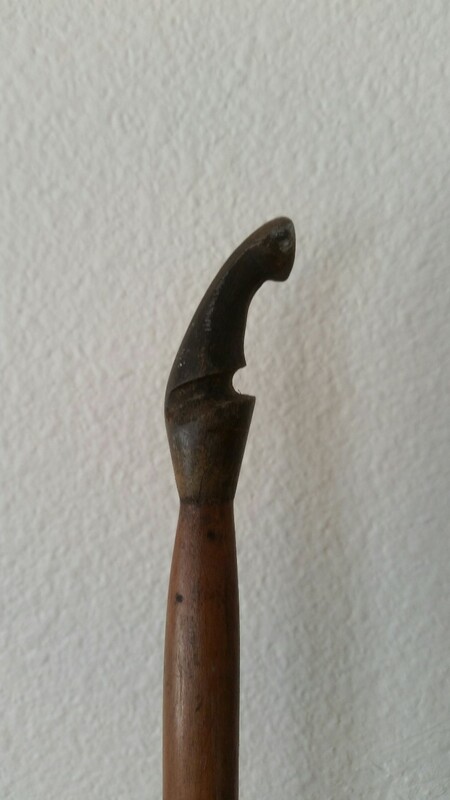 Appears to be a selfbow, horn nocks, not sure of the kind of wood. I apologize for not having a measuring tape on me, but it is about 74" or maybe even 76". I am 5'10" and it is at least 6" taller than I am. Re: Help ID'ing Grandpa's Bow! 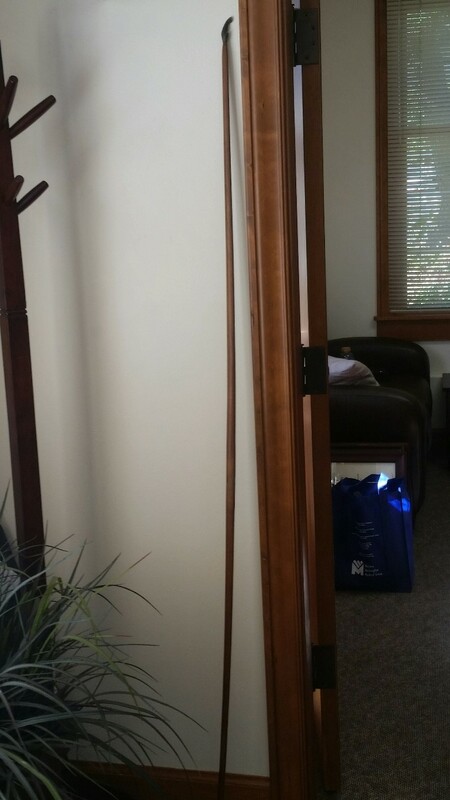 From what I can tell from the photos, it's a plain Jane English Long Bow. 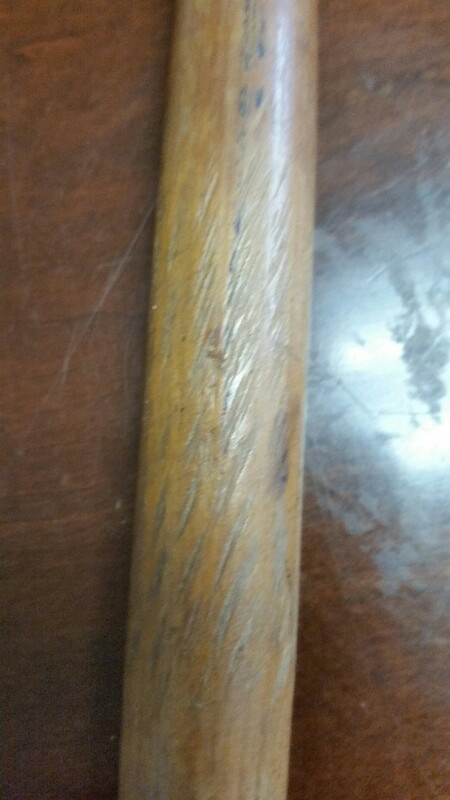 It is a self bow, appears to be an unbacked, one piece stave, which would limit the wood choice; likely lemonwood, a wood commonly use on un-backed bows. The length makes it a man's bow. 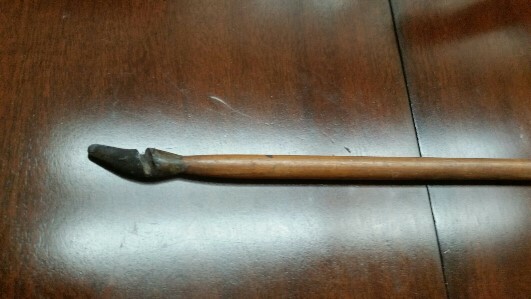 It does not have dips in the handle area which "could" date it pre-1880s. Many times the draw weight was stamped near the handle, but don't believe the number "19" here is the draw weight. Without any identifying "Archery House" stamps or decals, no way the maker can be identified. Not much to say other than it is a generic English Long Bow, of which hundreds were imported here during the late 1800s.